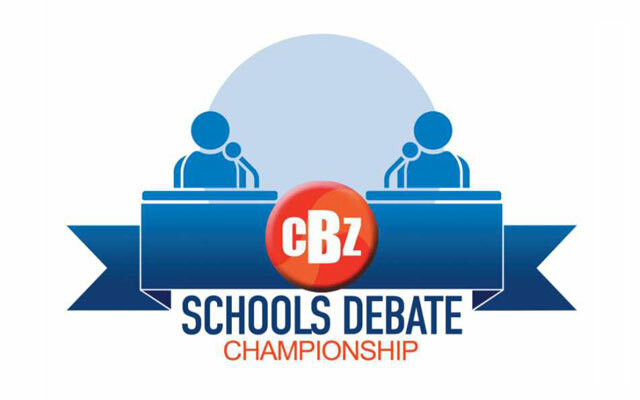 The CBZ Schools Debate Championship has taken a whole new dimension by incorporating secondary schools as the previous edition was only at primary school level. The stage is set for students from both secondary schools and primary schools to show their debate prowess and represent their schools and ultimately provinces in this year’s edition of the CBZ Schools Debate sponsored by CBZ Holdings and hosted by Institute of African Knowledge. CBZ has invested a total of $110,000.00 in prize money to be given as RTGS$60,000 for the secondary level and RTGS$50,000 for the primary level. This amount is set to double if the winning schools are clients of CBZ Bank, CBZ Life and CBZ Insurance. Last year’s winners, St. Joseph Makoni Primary School in Rusape have vowed to go the extra mile this year in a bid to retain their title. Speaking at the inaugural launch of the CBZ Schools Debate last year, Guest of Honour Primary and Secondary Education Minister Paul Mavima applauded the initiative as he said it breathes vibrancy and life to the education sector. “I commend non–State actors like CBZ Holdings and Institute of African Knowledge who team up to bring vibrancy to the education process by deploying vast resources without motivation of profit,” he said. In support of the Sustainable Development Goals, CBZ has seen it fit to invest in developing certain skills in the young minds that are not necessarily part of their school curriculum. The relevant SDGs are 4 (quality education); 5 (gender equality); 8 (decent work and economic growth and 16 (peace justice and strong institutions). These dovetail very well with the group’s corporate strategy to broadly support education (30% of CBZ’s CSR investment is channelled towards this pillar). The next question would be why debate? It is the group’s desire to enable the learners to develop broad and multi-faceted knowledge cutting across disciplines. This will increase their confidence, poise and self-esteem. They will learn to research, develop critical thinking, organization, persuasion, reasoning and communication whilst they are taking part in this exciting and very engaging activity. Of critical importance is the opportunity to develop the knack to accept positive criticism to improve future performance. Ultimately CBZ is helping to develop future lawyers, parliamentarians, lobbyists, social workers, educators among others. The Group is pleased to have partnered with INSTAK (Institute of Africa Knowledge) ably led by a well-known Zimbabwean scholar Ambassador Kwame Muzawazi who is also the founder and editor-in-chief of the Book of African Records. Follow the link below to download the registration form.